This was THE busiest and most labor intensive week to date. 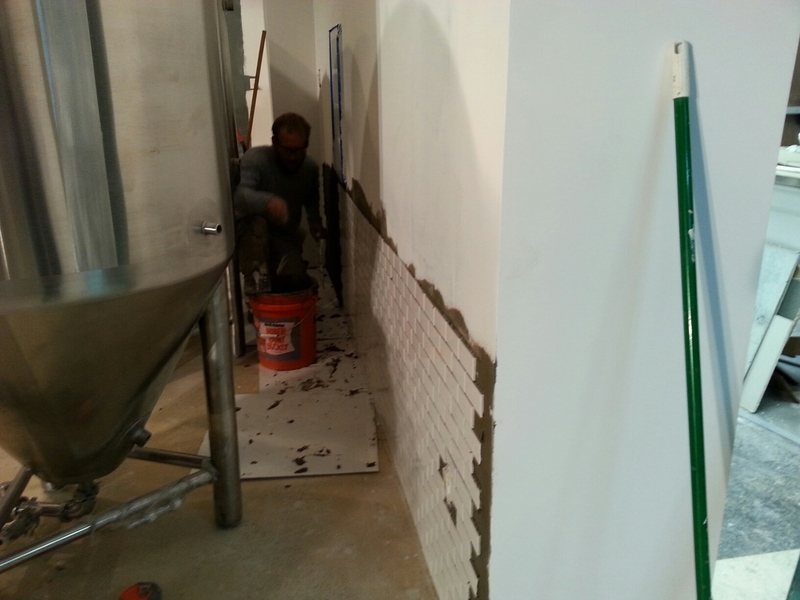 It was time to tile the back wall of the brewery area and the fermentors as it could be a wet area here-and-there. Before tiling, I had to prep the walls. 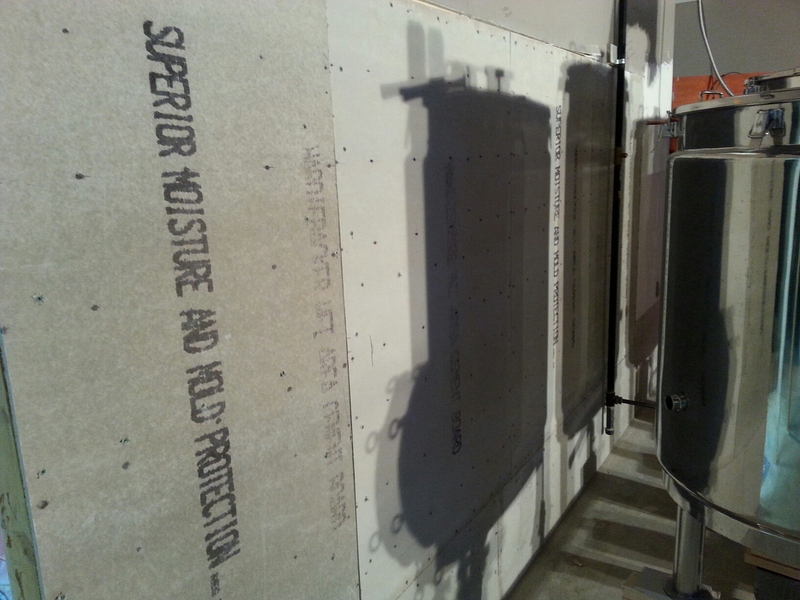 Drywall isn’t a good choice for a big application like this that could get wet so I got some 1/2″ Hardiboard. That stuff is heavy. A 3×5 sheet of that is heavier than a 4×8 sheet of drywall. This is the beginning of a long week of lifting heavy things with my arms. 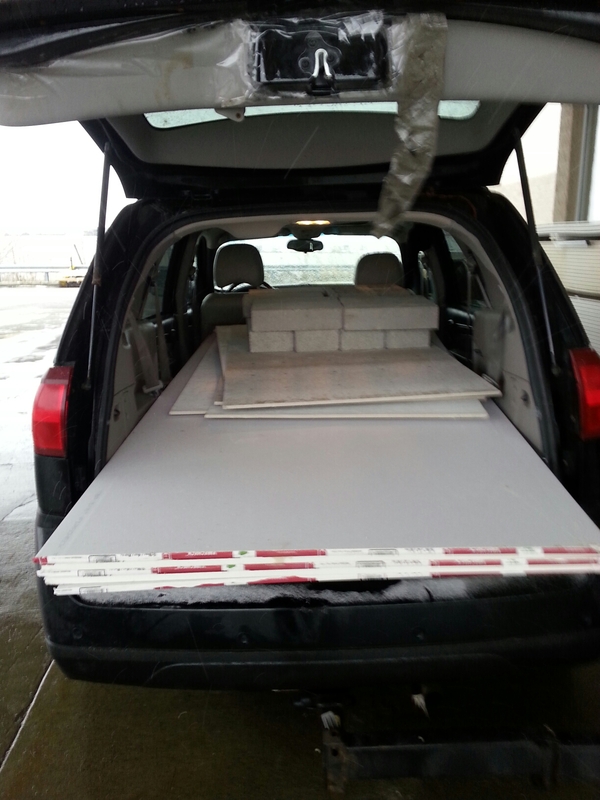 I also got a bunch of cinderblock and capstone for a one foot foundation to the brewery area. The guys at Lowes didn’t believe that we could fit this all in my Rendezvous. The early part of this week my Dad and I spent getting the back wall to the brewery ready for tile. 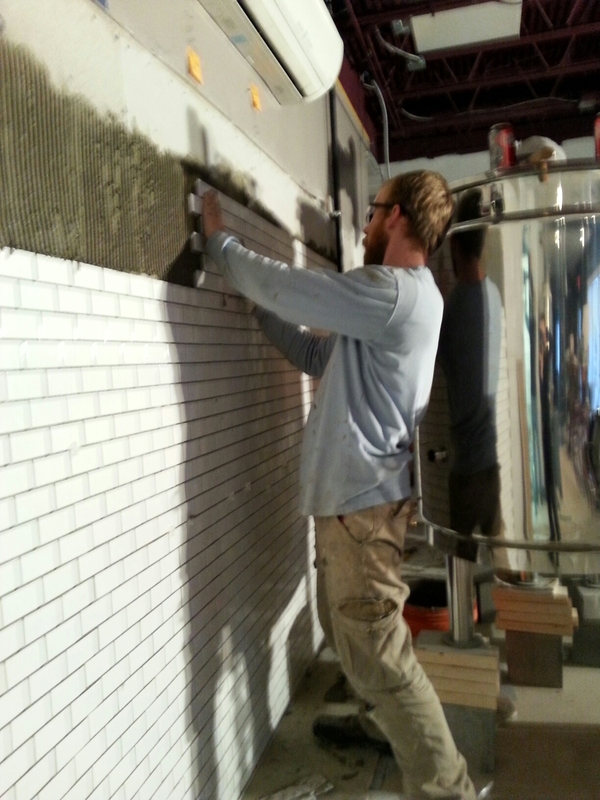 Prepping the back wall of the brewery for tile. I went back up to my local hardware store to sort through the crates of used glass tile to see if I could cobble together enough white and another color. These tiles were used for a bathroom application before as they had scum and some had holes for pipes. They even had the glue pads still on them. They needed work. There were dozens and dozens of milk crates of these. The environmentalist part of me wanted the back of the brewery to be recycled tile…I figured I could get these at $1…maybe $2 tops per square foot as they weren’t selling-only accumulating as far as I could tell, they needed work, and nobody could really get enough of this stuff for a full bath anyways in one color. 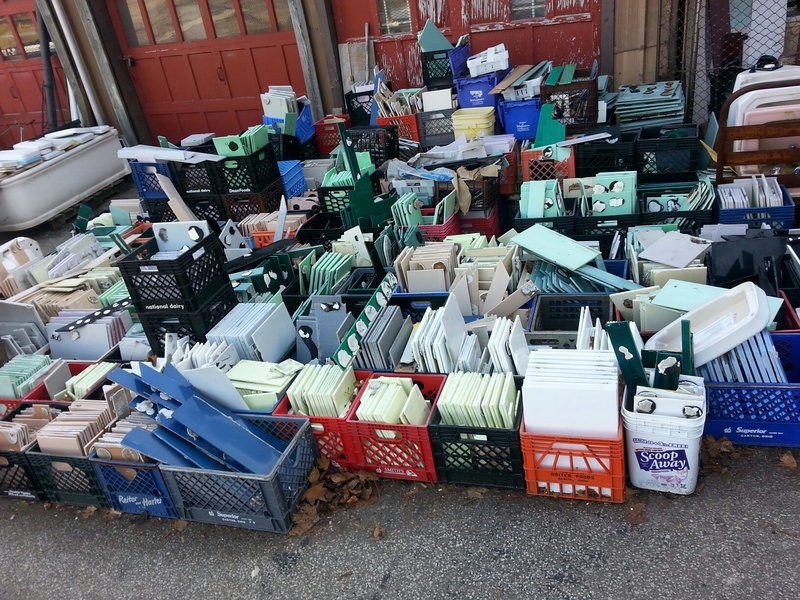 As I started the sorting just to see if there was even enough, a lady came out and told me that they were $20 per square foot. $20!!!! That price was an ORDER OF MAGNITUDE OFF from what I was going to pay. Being that we were so far apart on price, I just left. $20 per square foot could get me some expensive, personal quarried tile from a far-away land that I didn’t have to de-glue and clean…and sort. 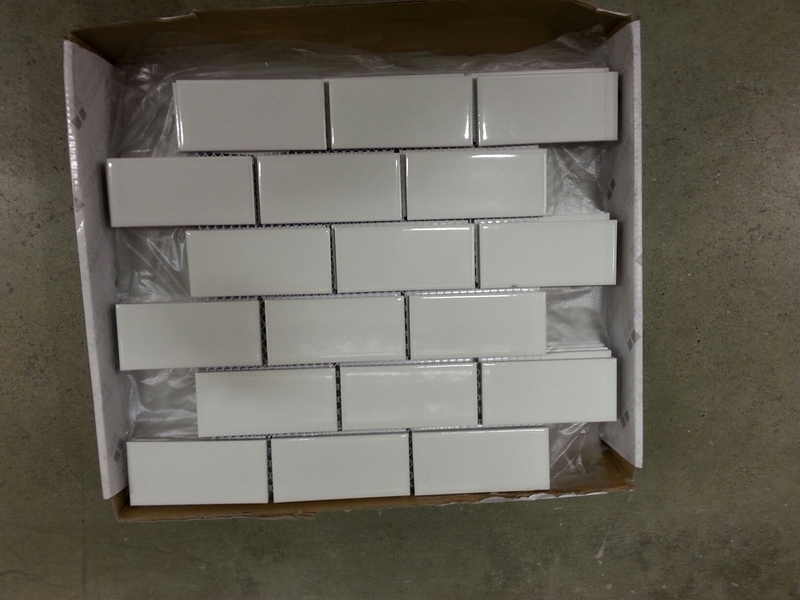 I ended up finding some white mosaic subway tile at Home Depot for $2.65 per square foot. I didn’t have to sort, clean or de-glue these! Thank you China. 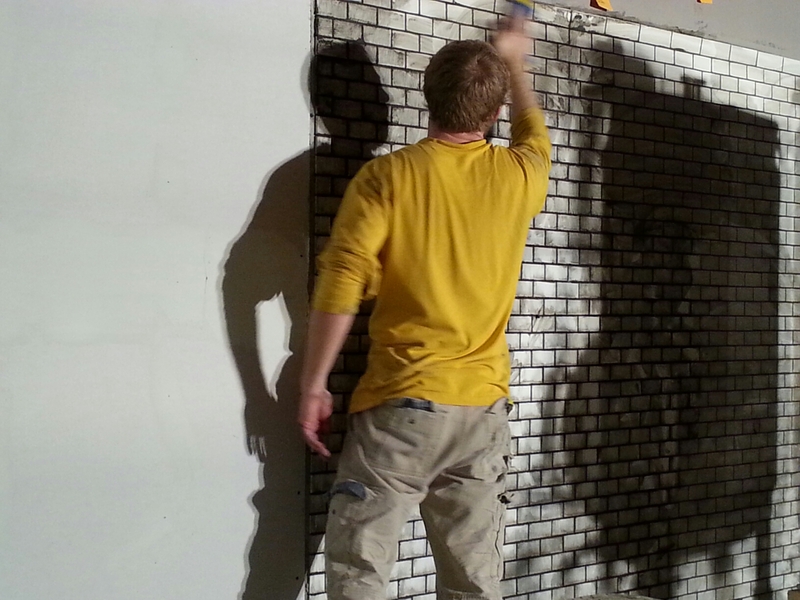 I have always loved mosaic subway tile…the little ones. It’s very visually rich to look at. With that, we got to work. 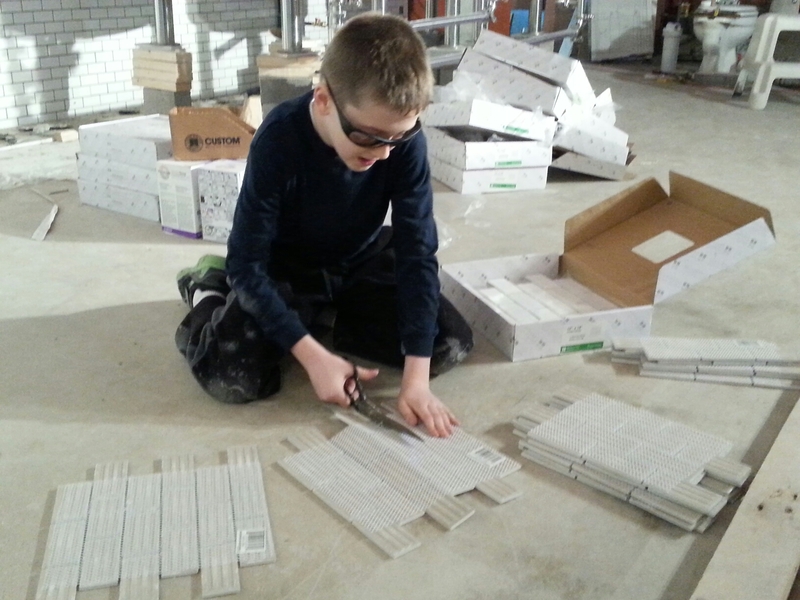 Devin getting the tiles ready for me as my hands were messy with tile concrete. 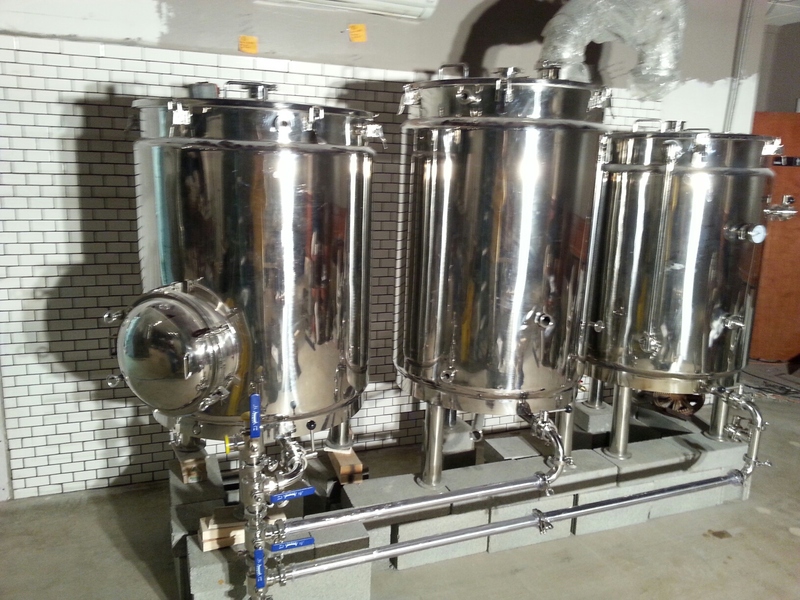 Running tile behind the fermentors too. 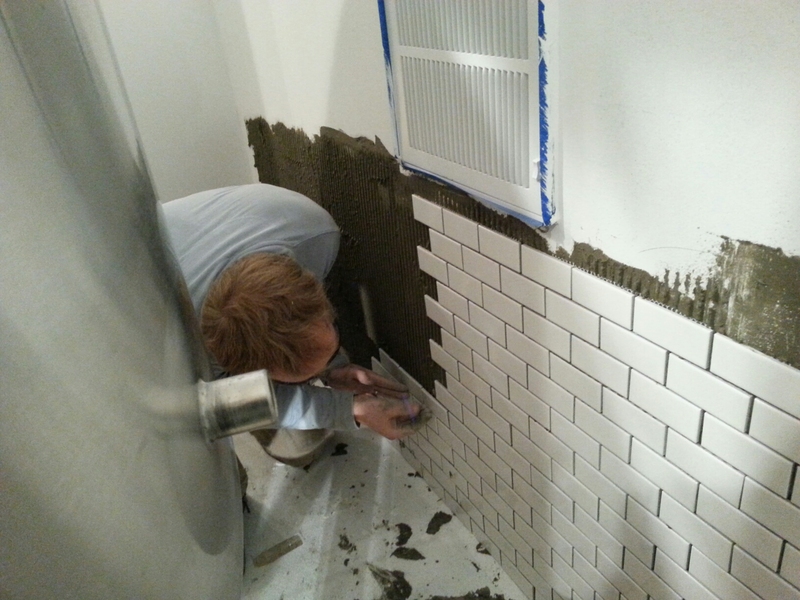 Grouting the tiles the next day. In retrospect, this was almost a worse job than putting up the tiles. So messy. 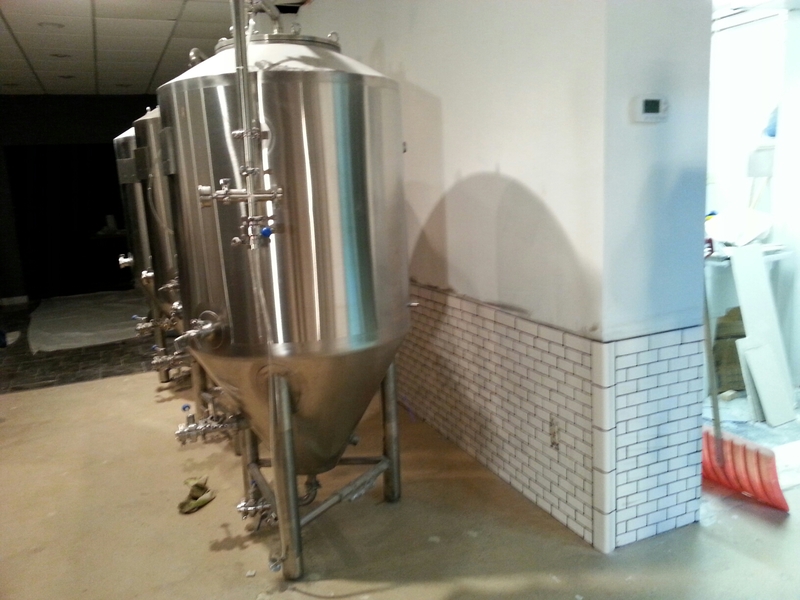 The tile wall really sets off the brewing equipment. Lay saved tiles in front of half the bar. Paint. Paint a lot of walls. Yikes! Plus this is a month where I get hit for rent AND my quarterly insurance payment. Ouch. Tiling and plumbing parts aren’t cheap either. Thanks to my Dad and my sons this week. My Dad did a ton of work saving me a lot of time to stay on track with the tiling.